Revolutionary projects can be implemented in almost every industry: from hospitals, through banks, to factories. This is the conclusion that can be drawn from the 4th edition of the “Eagles of Innovation” competition organised by Rzeczpospolita daily. 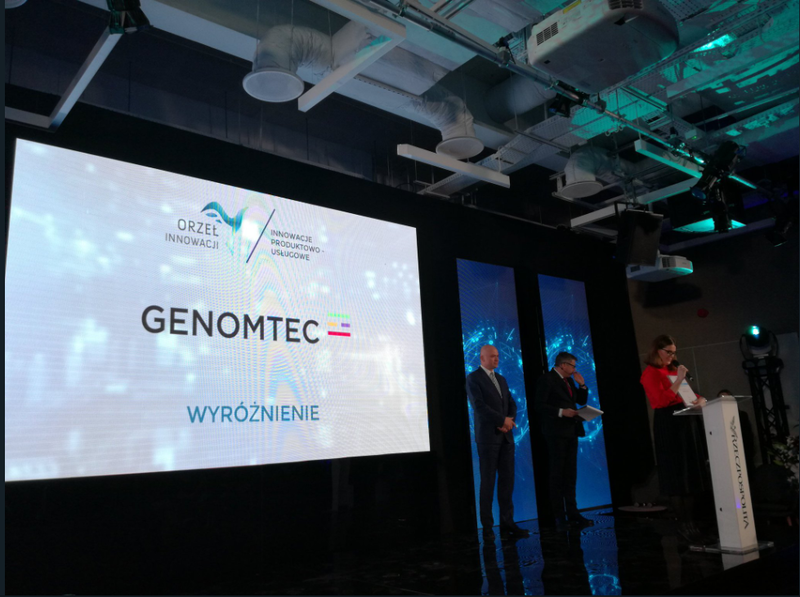 On 26 November 2018, an award gala was held to confer an accolade on the companies whose research and development efforts bring innovative products and services to the Polish market. The awards were given in four categories, appreciating an innovative business approach to organisation, products and services, marketing and sales, and the production process. Apart from the award ceremony related to innovative projects in specific categories, we also saw the announcement of the Innovator of the Century competition to commemorate 100 years of Poland’s independence. We feel proud and honoured that the jury has decided to appreciate Genomtec and grant to us an award in the Product and Service Innovation category. We would like to congratulate our fellow competitors whose R&D and business successes have been recognised by the jury as well.